When it was introduced at Google I/O, Google Cardboard was originally thought of by most as a joke. I got a kit off of eBay for about $15.00 as more of a novelty item. I didn’t have any notions to use it in the classroom. When I first used it, I was amazed at how it worked. I did the simple city tour and photo sphere options. I watched the pre-selected YouTube videos and thought it was good for an afternoon of fun. However, over the past few months, developers have been creating more and more VR apps that work with Cardboard in the Google Play Store. There are apps that can fly a student through space or put them on the surface of the moon. There are apps that can put you into the filming locations for The Hobbit, turn YouTube videos into 3d, and build and ride roller coasters. 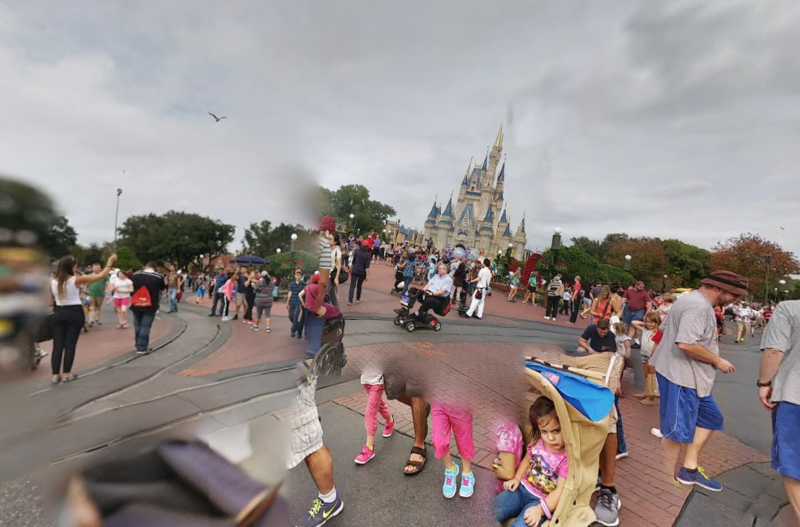 Using Google’s Camera app, you can make your own photo spheres (which provide a 360 degree view in all directions including up and down) and take your students on trips with you. I tried to make one in Magic Kingdom at Disney World, but it didn’t work as well because I couldn’t get all the people to stand still. But, for a location without much movement, it really works well. Bringing Virtual Reality into the classroom has been on people’s wish list for years. While VR still isn’t as robust as how they portray it in movies and dystopian literature, it is getting much closer to common use. Google Cardboard is bringing an inexpensive headset option to teachers wanting to bring VR into the classroom. If you want to buy your own Google Cardboard, visit this site, hunt around on eBay, or there are even some DIY instructions online with a simple Google search. What do you think are some great uses for VR and Google Cardboard in the classroom?